Taha'a shares her lagoon with the neighboring island, Raiatea, a unique feature that doubles the fun and opens the door to a large choice of excursions. Whether you are drawn to culture and history, water sports, or nature discovery, you will find your perfect Taha'a ! The Concierge team will assist you in choosing the best tours to make your stay as exciting and eye-opening as possible. Private options are available. The lagoon is your playground, and there are so many ways to enjoy it ! A jet-ski tour, an ATV expedition, a fishing expedition, a boat tour or kayak ride upstream through the jungle of Raiatea's Faaroa River are easily arranged. 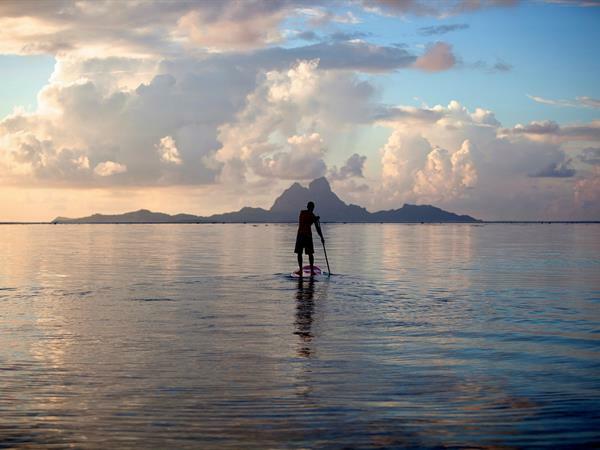 On site at Le Taha'a Island Resort & Spa, you will find non-motorized water toys such as standup paddle boards and kayaks, are available to our guests.